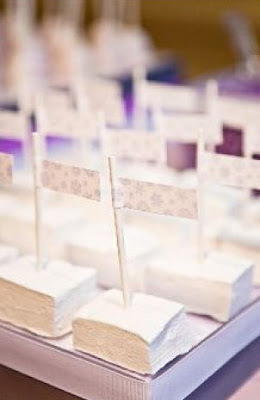 What are your opinions on marshmallows at a wedding? I say that there needs to be some s'more action in that post! :) but really, kind of a cool idea. Lindsey: I didn't even think about s'mores! That would be really cute for a camping/outdoorsy/retro theme wedding. Busy Grandma: I haven't tried the recipe yet from Butter Sugar Flour (above) but it looks relatively easy. 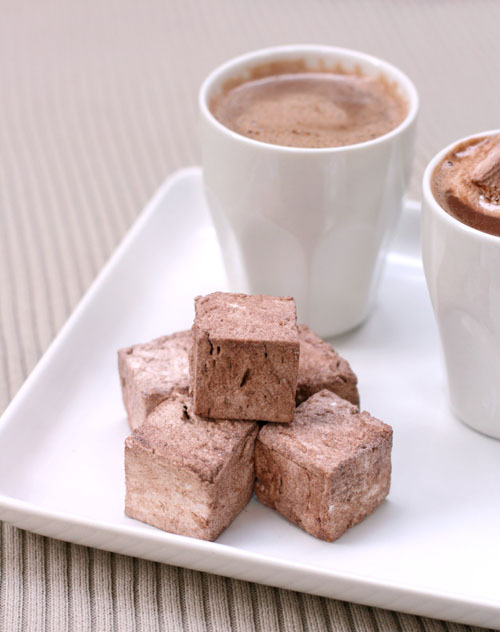 I HAVE, however, purchased chocolate marshmallows from www.miamallows.etsy.com. and they were delicious!